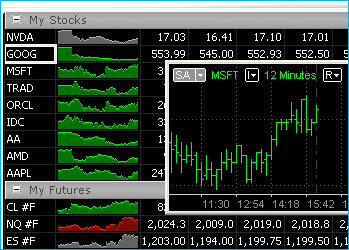 MultiCharts integrated with CQG, Rithmic, or Gain Data! All data feeds continue to have the highest commitment to providing reliable accurate data. Primary and failover data centers worldwide ensure uninterrupted market data distribution. A data quality group monitors there global data network 24 hours a day to ensure the customers get the clean data they need, when they need it. Our Gain data feed allows users to trade futures and FOREX with one connection. Freedom of choice has been the driving idea behind our MultiCharts and you can see it in the wide choice of supported data feeds and brokers. Choose your trading method, test it, and start trading with any supported broker you like that is the advantage of MultiCharts. MultiCharts advantage is based on building robust trading strategies, accurate market data with minimal delivery time, order execution within milliseconds, and lower-than-average transaction fees. With tools such as high-definition charting, technical indicators, backtesting, and strategy execution, everything you need is at your fingertips. MultiCharts is a complete trading software platform for professionals. It comes with high-definition charting, support for 20+ data feeds, dynamic portfolio-level strategy backtesting, EasyLanguage support, interactive performance reporting, genetic optimization, market scanner, data replay, and 300+ strategies and indicators. MultiCharts strength is in its features, flexibility, and commitment to following industry programming standards. MultiCharts provides all the necessary features you may need in a trading platform. Our features allow you to create sophisticated trading strategies for your trading. Our flexibility allows you to choose the optimal data vendors and execution gateways. MultiCharts is also compatible with the industry standard EasyLanguage developed by TradeStation. 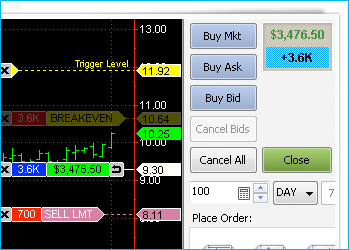 Take control of your trading and act quickly when you see an opportunity place orders in seconds through our new Chart Trading and DOM. 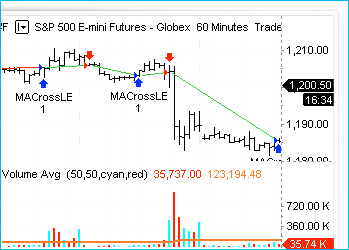 It is simple and intuitive, you can click or drag-and-drop orders onto your chart. 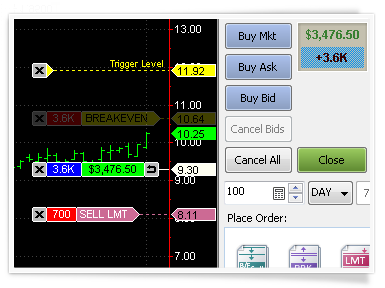 MultiCharts features many tools to help you achieve your goals: Chart Trading, Trade Bar, Order and Position Tracker, Depth of Market, Automation of Entries and Exits, and Symbol Mapping.